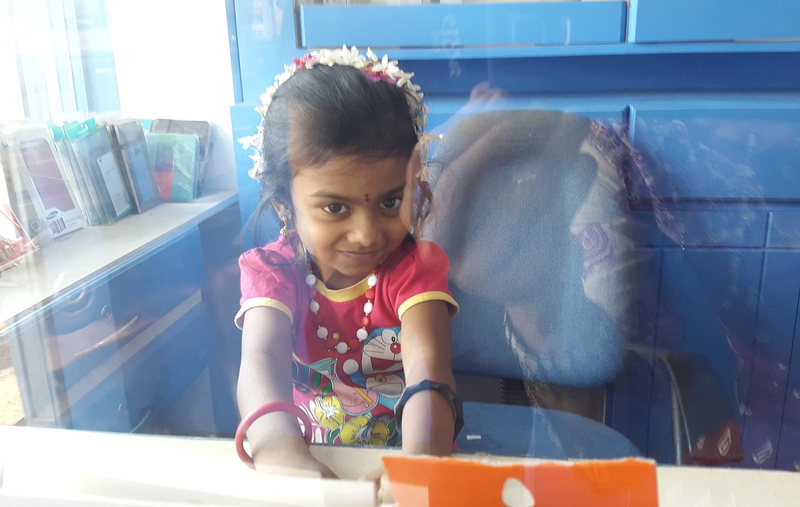 There is this little smile, shy but secured because of the glass wall in-between. It is like her parents are protecting her fragile childhood. So, this little Indian girl can grow and ripe and getting prepared for the future. The glass wall will be disappearing more and more. She will get into contact with classmates, teachers, neighbors, and her parent’s friends. More and more, she will get responsible for protecting herself of displeasing things and people. Nobody will be able to do this for her. One can hope, that her parents will provide her an elaborate instruction manual for life. If not, I know how it feels. One has to find out so many things by oneself, and it will be an agitated journey.